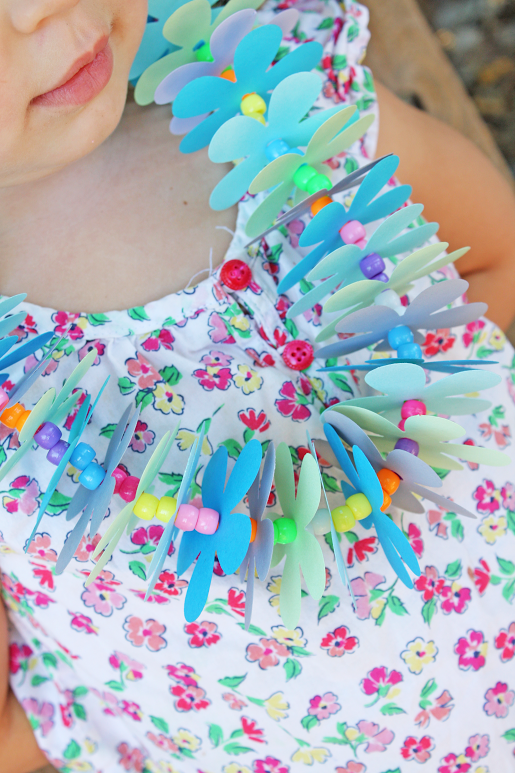 So I wanted to bring you this Hawaiian paper lei kid craft to keep your kids engrossed long enough for you to do the laundry and maybe even catch your own favorite Netflix show. 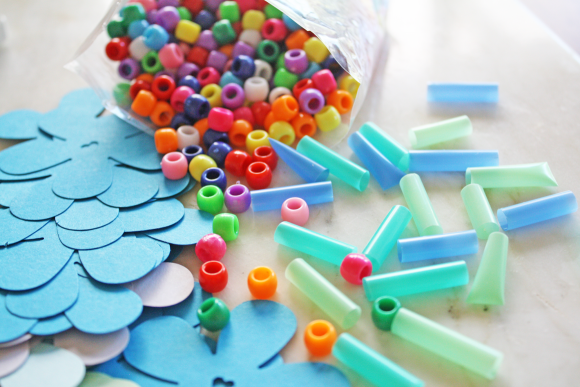 What makes this my favorite craft is that it's entertaining for older kids (especially if they're doing the paper punching), simple for the youngsters, there's no big mess to clean up at the end, the supplies are inexpensive, and everyone gets something pretty to wear when done. Told you it was a good one! 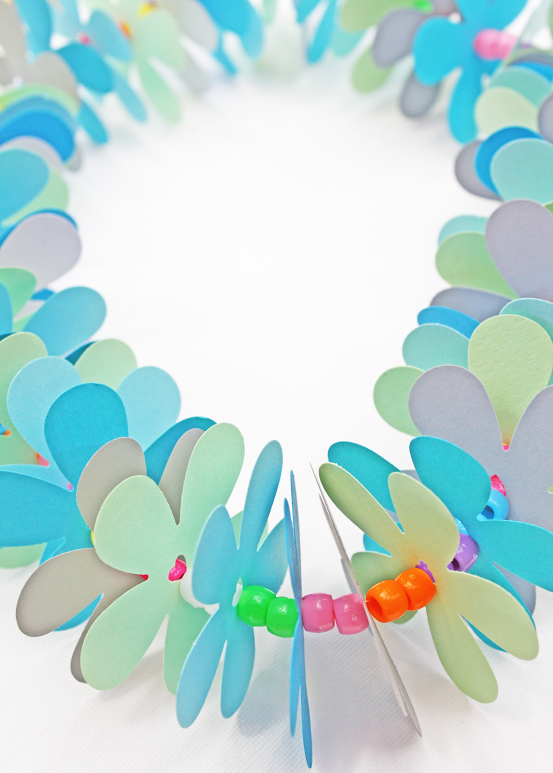 This craft is courtesy of my friend Shauna at Ella and Annie Magazine. Thanks, Shauna, for putting this together! 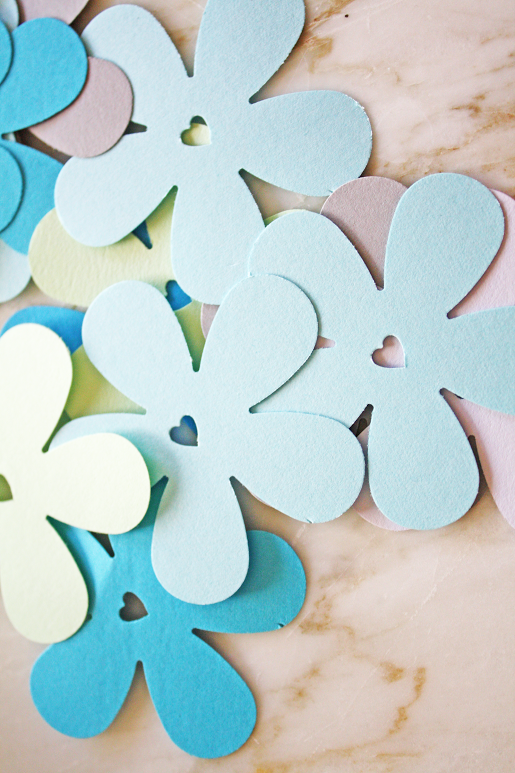 Using your large floral punch, punch out various colors of cardstock. 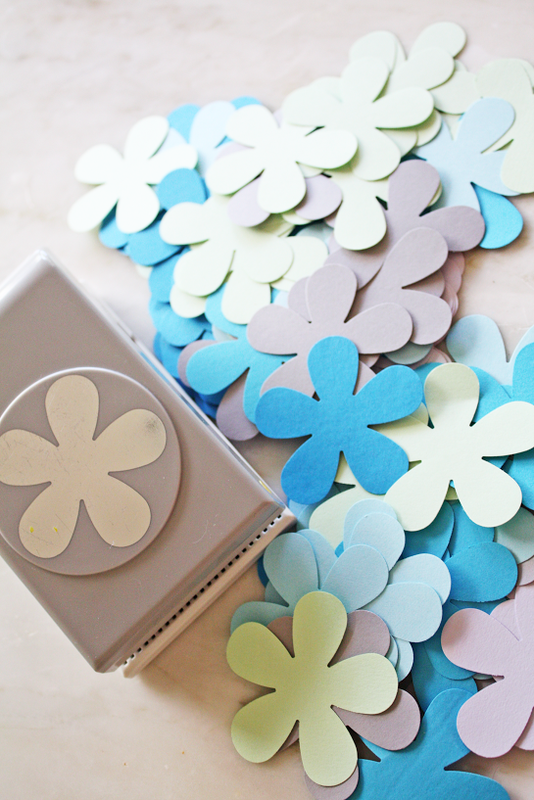 Once you have punched out all your flowers, use a regular hole punch or heart hole punch and punch out a small hole in the center of each flower. 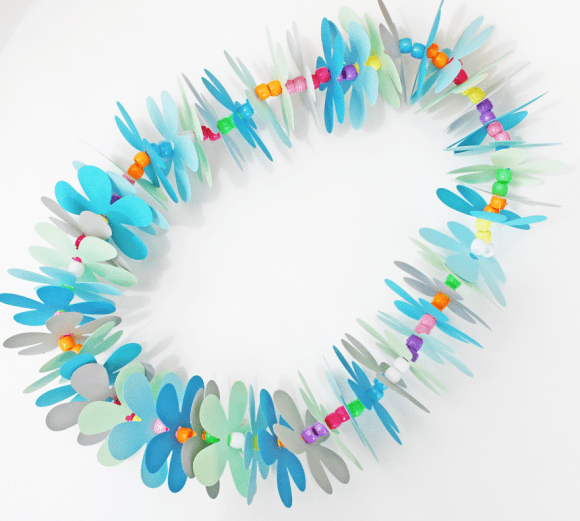 Measure the length of the necklace or bracelet you want to make. 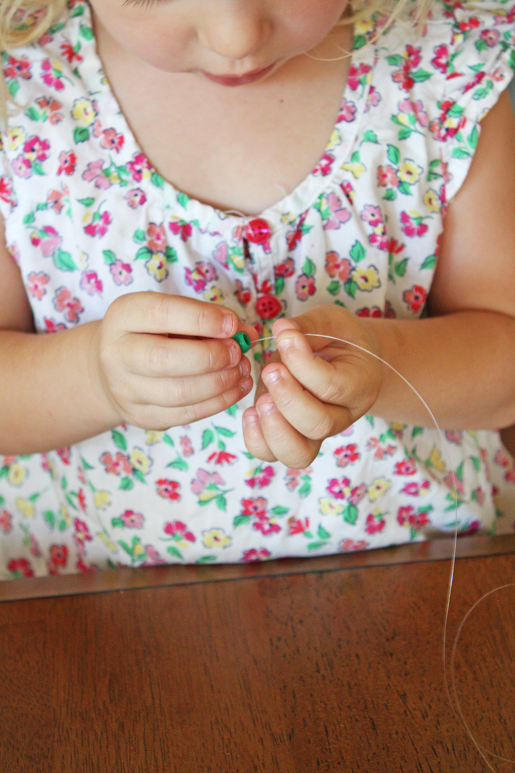 Take one pony bead and tie a knot with it at one end of the fishing line. 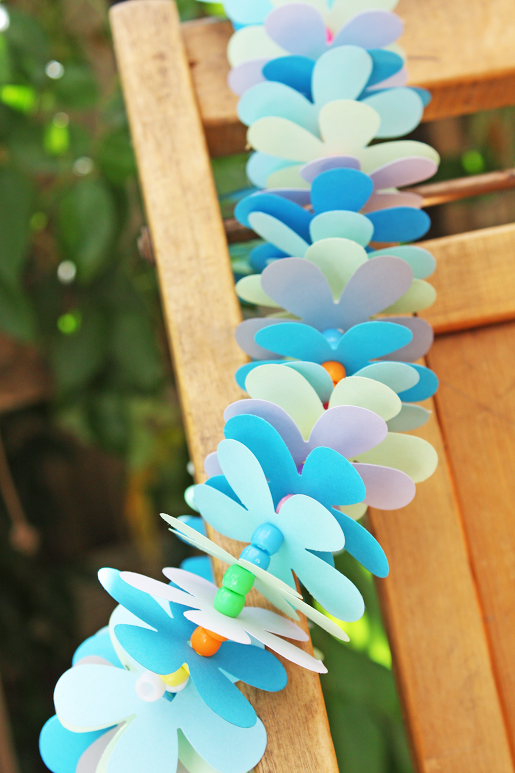 This will prevent your beads and flowers from falling off while you string together your lei. Begin stringing on your flowers and beads. We worked with the pattern of two beads then one flower. It made for a nice full lei! When you reach the end, tie the necklace together. Double knots! There you have it! 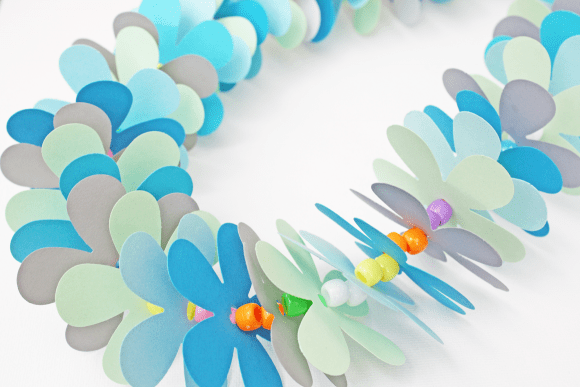 Your very own Hawaiian lei! And did we mention this would make a great party activity and favor for a Hawaiian party? For more party inspiration, take a look at all these amazing Hawaiian parties on our site. We had so much fun making these! Thank you for sharing!